Sometimes it seem life goes by in a blur. Many of us are too busy to notice the natural beauty that surrounds us. Thank goodness for people like Craig Sterken, whose photography captures those moments we miss. 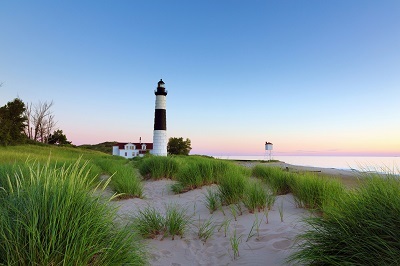 His favorite subjects include the areas around Ludington and Lake Michigan....from wildlife to lighthouses to the gorgeous colors of trees and plant life. Craig has a passion for photography, and it shows in every image he produces. Craig grew up in Grand Rapids, so he was never far from the numerous lakes within the state of Michigan. With hours spent on the water and in local woods, Craig developed a real love of nature and it became the cornerstone of his photography. 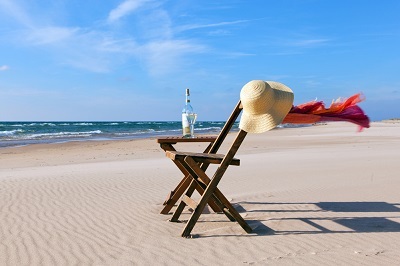 He and his family visited Ludington over 25 years ago and fell in love with the area. It was here that Craig began his photographic journey...along the beach, at the Ludington State Park, or along a country road. Craig and his wife Sandy also make regular visits to Mackinac Island, the Leelanau Peninsula, and other areas in northern Michigan. He's always in pursuit of the perfect moment, as no two are exactly alike. The vibrant colors of a Michigan sunset, waves violently crashing against the lighthouse, or the fascinating close-up of a white snowy owl...they're all so captivating to look at. Craig's eye never misses an opportunity, and luckily for us, we have his prints so we can enjoy these images for years to come. You can see Craig's work in various travel publications and websites, as well as displayed in area businesses and offices. There are a variety of items that Craig sells, including prints, matted prints, and gallery wrapped canvases. Many of his beautiful images are also available in greeting cards, mugs, and bookmarks. Check out www.CraigSterken.com for available products. In addition to photography, Craig has a love for woodworking, and he can provide you with a custom made frame for your print. Using eco-friendly wood purchased from a local family saw mill, Craig uses poplar, walnut, cedar, hickory and maple, and painstakingly turns it into a lovely frame with a luster finish. 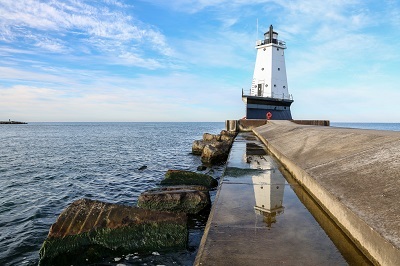 Craig Sterken's Photography is available to view and purchase in Ludington at Maude's Garage and also at the Ludington Area Center for the Arts. Craig Sterken's fabulous photography can be found at Betty's Gift Shop, Weathervane Gifts, and Landing Gull Gifts on Mackinac Island. Craig's photographs of Mackinac Island, area lighthouses, the Straits of Mackinac, and the Mackinac Bridge are stunning. Don't leave without one! Shop online, too. Imagine gazing every day at one of his unique prints as it hangs on your wall! It's a daily reminder that Michigan's beauty is unsurpassed, and you don't have to miss a moment of it, thanks to Craig Sterken Photography.